Your destination for all things Rite Aid pharmacy. Select from the options below for refills and transfers, immunizations, health information, prescription savings and more. 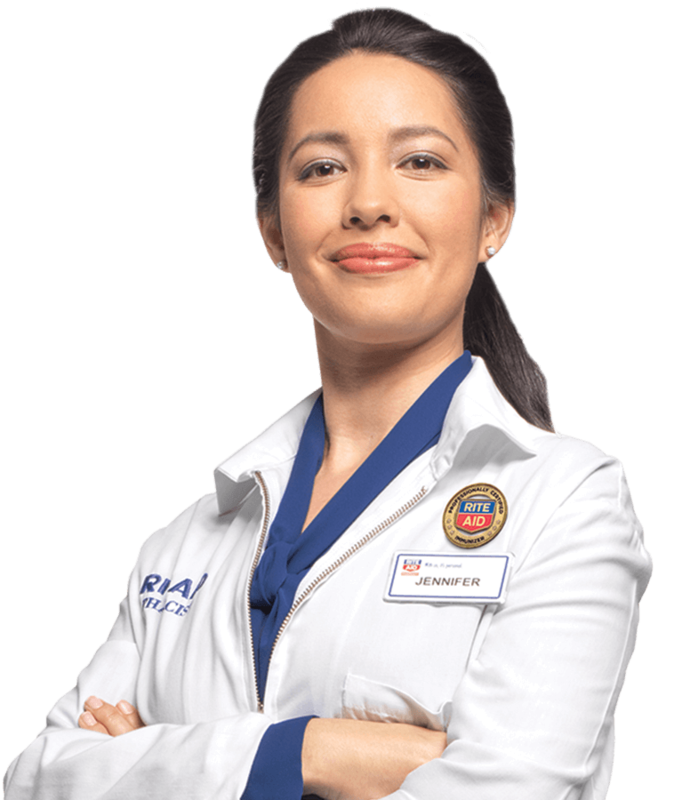 Rite Aid pharmacists are unique because they understand the importance of personalized care. On top of receiving a comprehensive education needed to meet state licensing requirements, all our pharmacists are professionally certified to provide immunizations. What sets our pharmacists apart from the rest are their daily interactions with you, our customers. Because at Rite Aid, we care. Answering your questions: If you have any questions regarding your medications or about one of the many services we offer, your pharmacist can help. They are always ready and willing to assist you. Contact your local pharmacist or chat live with a pharmacist . Provide Immunizations: Our specially trained and certified pharmacists can provide a wide range of immunizations. You don’t need an appointment and we accept most insurance plans. Take your FREE Immunization Evaluation and talk to your pharmacist today. Helping you save money: Your pharmacist can help guide you through questions you may have about your prescription insurance coverage, including Medicare Part D. They can also help you save money with our Rx Savings Program. Work with your doctor: Your pharmacist will work directly with your doctor when they have questions or possible concerns about the medications you are taking. They ensure you are at the lowest possible risk for overdoses and adverse drug reactions by keeping a detailed history of the medications you take. So be sure to talk to your Rite Aid pharmacist today. The better they know you, the better they can help serve you and your needs.